This article first appeared in The Edge Financial Daily, on April 3, 2018. 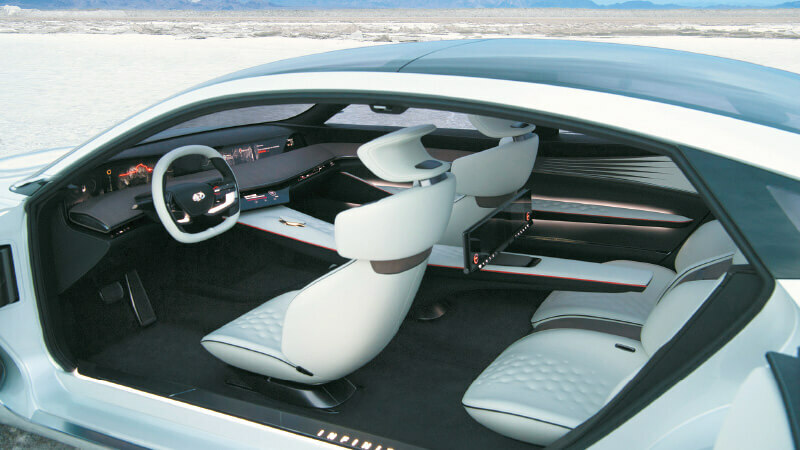 The interior of the Nissan Infiniti Q Inspiration concept vehicle. INFINITI is recharging its attack on BMW and Audi. The Nissan Motor Co premium brand wants to use the structural changes enabled by the industry’s shift towards electric and self-driving cars, such as a larger cabin and fewer components under the hood, as a chance to inject a Japanese touch of simplicity and space into its models. That entails a minimalist approach to the interiors, with a goal to cut back on buttons and controls, a la Apple Inc.
After trailing German rivals for decades, Infiniti has a mountain to climb to narrow the gap — BMW AG sold eight times more cars globally last year. However, Infiniti is betting the industry’s shift will rewrite the rules, and the carmaker envisions half its sales will come from electric vehicles by 2025. A refocus on the brand’s Japanese roots is a break from the Latin-flavoured design language previously applied by Albaisa, a Cuban-American promoted last year to oversee design for Nissan as a whole from a narrower role at Infiniti. Past models have failed to establish a clear character for Infiniti, giving it an opportunity to reinvent itself, consultancy Carnorama analyst Ken Miyao said. 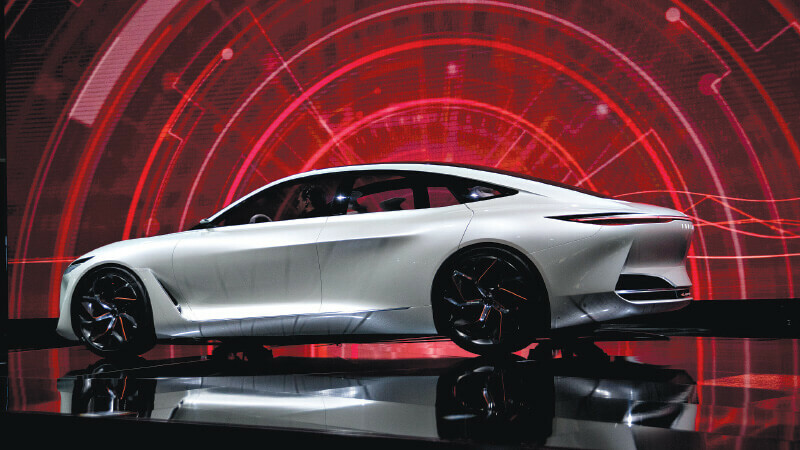 “Infiniti has an ambiguous brand identity and doesn’t seem like a genuine Japanese brand,” Miyao said. “In the premium world, there should be a place for ‘wa’ and it should be good to emphasise that,” he said, referring to the Japanese cultural concept implying harmony and peaceful unity. The first model heralding the new direction is the Q Inspiration concept, a sedan unveiled at this year’s Detroit auto show that has electrified power trains and autonomous-driving technology. Infiniti pruned superfluous features and buttons in the car’s cabin, something Albaisa said embodies the concept of “ma”, meaning the mastery of serene and open space. The new direction is also part of a push to expand beyond the US, where Infiniti was founded in 1989 and which still accounts for more than half of sales. In 2012, Infiniti set up its headquarters in Hong Kong, betting on demand from China, set to overtake the US as the largest premium-vehicle market. In Japan, Nissan sells some Infiniti models under its main brand, without having officially introduced the premium marque in its home country.